Ronan Scullion aka Pseudonym is one of the freshest sounds to come out of Belfast in many years. Inspired by home boys Phil Kiernan, David Holmes, Alan Simms and Timmy Stewart to name a few, Ronan follows in the footsteps of some techno giants. 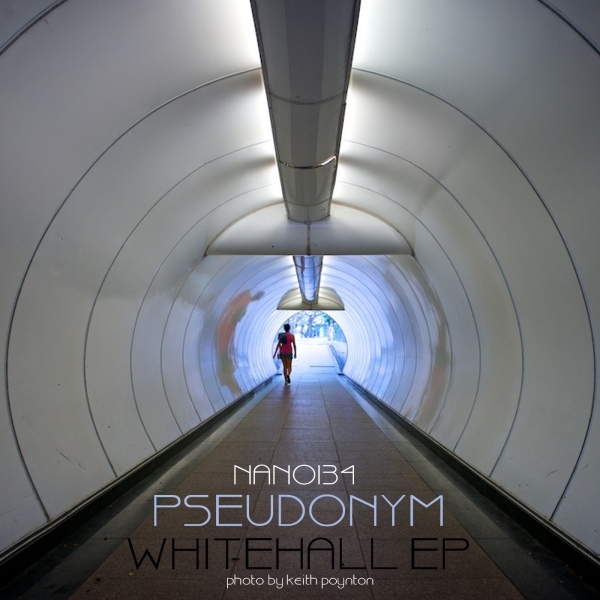 Pseudonym is a very Detroit influenced sound but the UK and Irish scenes but also you will find hints of ambient, dubstep and minimal. This is the sound if Belfast, the original home of Nice & Nasty. Pseudonym is also quite Sheffield sounding too. It’s techno, pure and simple. This promo is a full frontal of Pseudonym in all his glory. Tracks 1-3 (Alpha, Bedroom Voice and Disguise) make up the forthcoming Whitehall EP whilst tracks 4 -8 are Darken and remixes by Dave-G, DJ Mourad,Nachklangmusik and Javier Orduna which adds a wonderful European flavour to the Irish sound as French, Swedish, German and Spanish techno producers add their own distinct influences. What it is 100% is Nice & Nasty. Whitehall EP is a splendid debut from Pseudonum and features three wonderfully crafted techno tracks.Darken is a deep, dark groove that gets some fun remix treatment by Nice & Nasty’s international family. Nice & Nasty is 20 years old ine 2013 and continues to be a techno veteran and purveyor of nothing but bespoke techno soul. Ronan may not have the history that Orlando Voorn, Marco Bernardi or Terrence Dixon has but he belongs to call these guys, these pioneers, these techno veterans as his peers as his music, that you can hear and judge belongs alongside. Ronan may represent the future sound of Ireland but alongside Derek Carr, Box Cutter, T-Polar and Phil Keiran he is ensuring that Irish techno is top drawer and equal if not peerless. Anyway, judge for yourself, that’s why we have sent this to you. We hope you like it, we hope you enjoy, chart, play loud and play often. If you’d like us to come and do it for you and help celebrate this release, other releases and our 20 years in techno making then get in touch. If you are writing about this and need more info please contact desy balmer.